The best cost effectiveness goes with large volume aggregations. Otherwise the cost of servers will be high due to low volume pricing and logistical cost. these carefully chosen server crafting is branded as ServerWare® but does not take away the brand of SuperMicro® as the premier solutions to server building blocks. Customers are still able to aquire SuperMicro® specific models that we do not agregate or specific parts and components. Serverware® as a distributor provides the route to aquisition and infomation to the use and usability of said request. Support and engineers escalation are provided through our trained engineers with years of experience in Server and server environment. 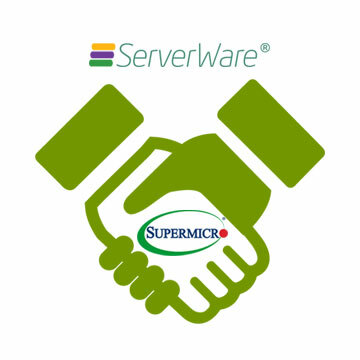 ServerWare® and SuperMicro® has signed the distributor arrangement for 6 years now. And we are proud to continue to forge ahead with this partnership to bring about more solutions to our Malaysian customers.